Paying taxes is always a very unpleasant task for any taxpayer. Taking care of how the tax calculations are done may help you lower your bill and reduce the bite in the next tax year. The end of the year is quickly approaching, and now is the time to start positioning yourself to save money on your tax liability. 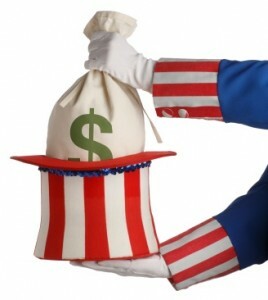 Keep more money in your pocket and away from Uncle Sam. Here are some tips on taking care of the basics to reduce the tax liability. Income, Expenses, and Deductions. Keeping an eye on your adjusted gross income and try to find out areas where you can deduct. Funding retirement accounts and reviewing assessment can help reduce the tax liability too. Going over employers benefits plans is also a good idea. Pay for mortgage bills before the end of the year to avail the mortgage interest deductions and also pay property taxes as this reduces the federal tax bill. Defer any stock options that may push your income to a higher income bracket. Stock Portfolio. If the capital gains are high, then think about taking a loss to offset the income. Where there are losses, stock options can be exercised. It is important to keep your portfolio balanced. Defer Income. Where you feel that your income bracket will not rise in the next year, defer your income until after the first of the year. Self-employed. Many Soldiers, Sailors, Airmen, and Marines moonlight. Some even have their own small businesses on the side. The end of the year is the optimum time to purchase and stock up all the business necessaries and equipment. Do make sure you keep the receipts and mark them. Donate to Charity. Since charitable donations are a deduction on your tax return, it is always wise to give at this time of the year. You could definitely donate extra junk or items lying around as well as any extra cash you have on you. Always remember to save the receipts as evidence. Pay Taxes In Advance. Where you are not affected by alternative minimum tax and don’t expect a higher income the next year, paying local/state taxes in advance can help you take a deduction on your tax report. Update Withholdings. Updating your withholding is important in event of marriage or divorce. You should update also when you have had a child or no longer claim the child to be a dependant. Using these tips would definitely help you reduce your tax burden especially at this time of the year. Previous post: Is Servicemembers Group Life Insurance (SGLI) Enough Coverage For You?